Dream Create Inspire: E.A.D. Designs Thankful / Family Monday Hop! E.A.D. Designs Thankful / Family Monday Hop! Happy Monday everyone! I hope you had a great weekend! If you've arrived at my blog from Amy T's blog then you are in the right spot, if not, please begin the hop at the E.A.D. Designs Blog so you don't miss anything! It's the beginning of a new month so today's E.A.D. Designs Hop's theme is Family / Thankful. Also, I want to give a BIG welcome to our October Guest Designer Julie Tucker-Woleck! WELCOME JULIE!!! We are so happy to have you with us this month! My first project for today's hop is a card which uses the Fall E.A.D. Designs Rub-Ons in Terracotta. Products used: SU and Bazzill cs, Distress ink, Fabric Land ribbon and CM corner rounder. My next project is a layout which uses E.A.D. Designs My First Thanksgiving Stickerz. Products used: New SU Autumn dp, punch, Staple, SU and Bazzill cs and Distress ink. This is a layout of our sweet little Isabella's First Thanksgiving (which she slept through) when she was only 2 months old! Your next stop on the hop is Joanna! Have a great day! OMG what a cuute layout! Aww your Isabella is a doll! And that card is perfect with that bow! Very nice --- I find it always surprising how that blue can look so elegant! And of course the little sleeping Bella is adorable! Very nice! 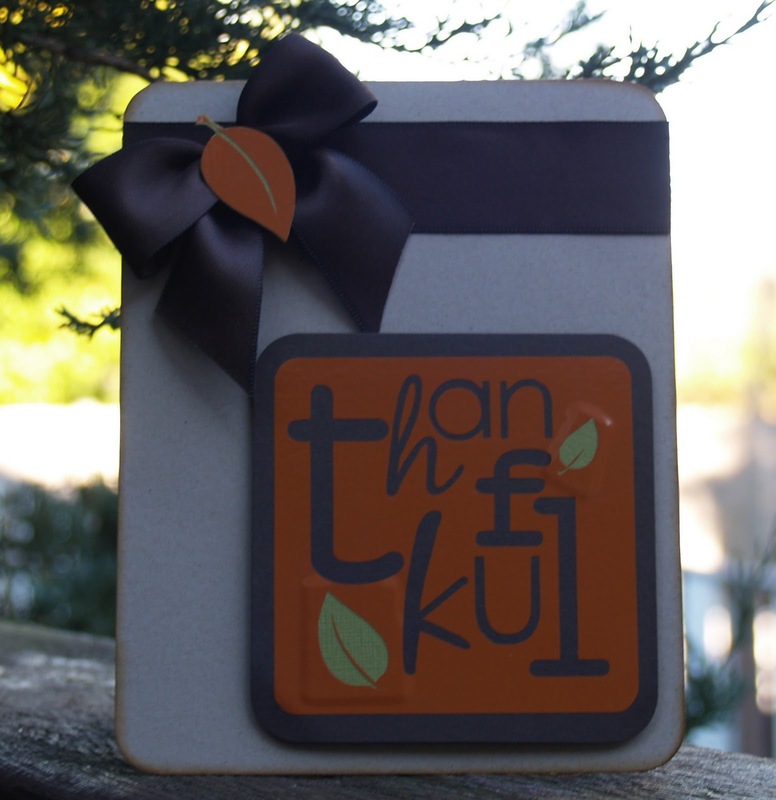 Loving your card - so crisp and clean looking - the bow is fantastic as usual :) Really represents fall. Bella is just too adorable - nice layout! Your card is wonderful and your layout is SWEET!!!!! Awww Love that layout and your card is super fabulous! Love that layout! Thanks for sharing.